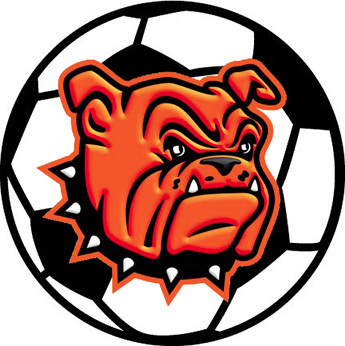 The Lady Bulldog soccer team’s weekend may have been slightly abbreviated, but with a 1-1 showing and an early glimpse at their district competition, the Goddard Invitational was a solid Week Two outing overall. After blanking Ruidoso 7-0 Friday, the Artesia girls squared off Saturday morning against host Goddard, falling 3-2 in a hotly-contested match. That would’ve placed the Lady ‘Dogs in the third-place game against Valencia, but weather forced the cancellation of the remainder of the tournament. The Lady Warriors of Ruidoso had no answer for Artesia in Friday’s opening game, and while the Lady Bulldogs led by just three at the half, they broke the game open in the second 40 minutes. “Once we went back out, the floodgates just opened,” Trentham said. The Lady ‘Dogs got two goals on the day from Sadi Butler and one apiece from Abigail Rios, Jaelyn Bustamante, Makyla Letcher, Vivian Vasquez and Laken Estrada. The win gave the Artesia girls an early crack at Goddard, and while the Lady Bulldogs started out strong, the unchecked physicality of the contest soon had them out of sorts. “We actually got a really good opportunity within the first five minutes but couldn’t finish, and that was just kind of the story of the game,” said Trentham. “No matter how many opportunities we had, we couldn’t finish. Their keeper was pretty decent, but it was rough. Every time we’d get a break, one of their girls would be all over our girl, holding on, pushing in the back. Trentham said his midfield was unprepared to handle that level of aggressiveness and deflated a bit as the Lady Rockets jumped out to a 2-0 lead. The Lady Bulldogs changed things up for the second half and were able to get a goal from Butler. A second appeared to follow on a penalty kick following a trip in the box, but it was called back due to players in the arc. The re-kick was saved. Artesia was awarded another PK, however, on a handball, which Destiny Gonzales delivered to tie the game at 2-all. With six minutes to go, however, Goddard notched the winning shot in an unorthodox manner. Competing without a pair of starters in Zailor Lopez and Loreli Perches, Trentham said he was pleased overall with the effort and the District 4-AAAA preview. “We were expecting Goddard to come out and play hard, because they’re so used to being on top of the district and after last year, when they got knocked down hard, we knew their girls were going to come back with some intensity. I think our girls thought it was going to be a little easier game, so that was kind of a good knock for us. The first order of such will be Class 5A Hobbs at 6 p.m. Tuesday on the road. The Lady Eagles currently stand at 1-0 after topping Alamogordo Aug. 21, 6-0. The Artesia girls will open at home at 6 p.m. Thursday versus Clovis.